LeAnn and Corey Schafer, New Rockford, ND. The Topp Angus cattle aren't phased by the cold snap. 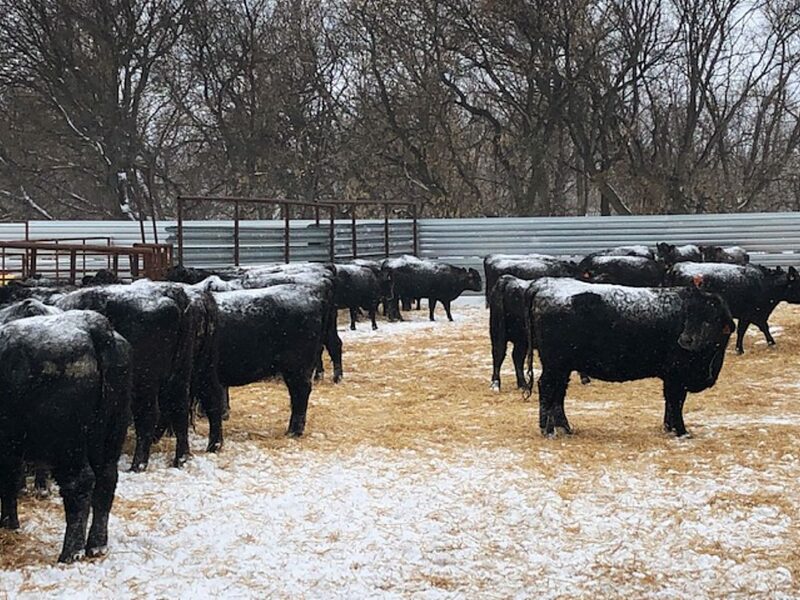 Topp Angus had a great set of bulls to offer a nice crowd of buyers on a very cold winter day. Lot 64 at $9,000, Top Donald 7917, Dob 8-18-2017, Reg 19158703, SVA The Donald 4030 x Topp Ruby 5338, sold to Harding Angus, McHenry, ND. 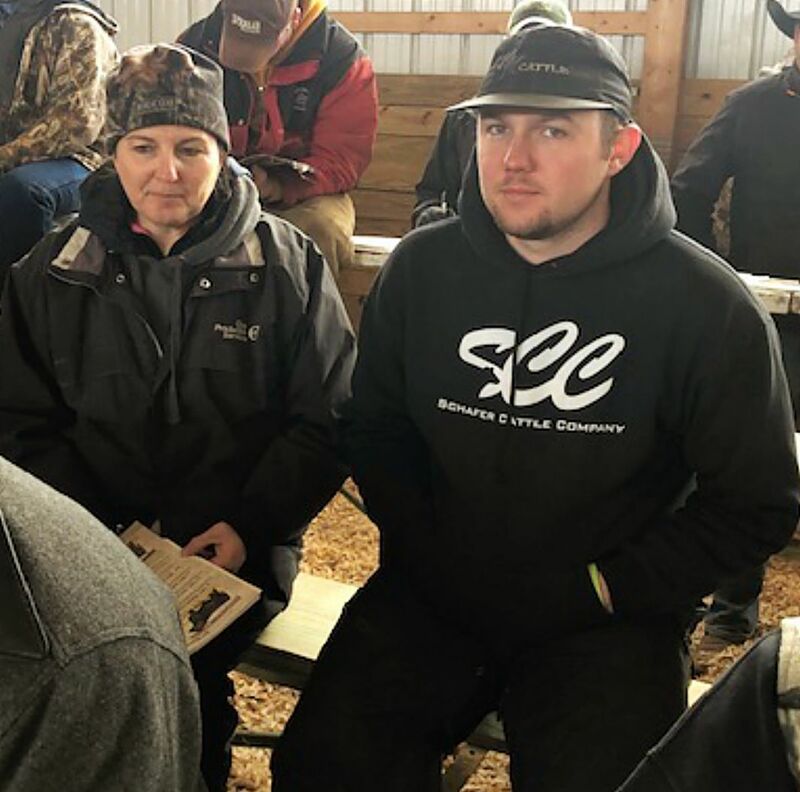 Lot 54 at $8,000, Topp Donald 7875 Dob 8-12-2017, Reg 19158695, SVA The Donald 4030 x Topp flower 4236, sold to LeAnn and Jeff Schafer, New Rockford, ND. sold to Janssen Angus, Earlham, IA. Lot 49 at $7,750, Topp Donald 7899, Dob 8-15-2017, Reg 19158699, SVA The Donald 4030 x Topp Barbara 5011, sold to Cory Stangeland Kensal, ND. Lot 36 at $7,500, Topp Donald 7915, Dob 8-17-2017, Reg 19158702, SVA Donald 4030 x TA Peggy 3734, sold Tony Fettig, Braddock, ND.